Geographic detail. Striking colors will invite students to explore our most popular globes. 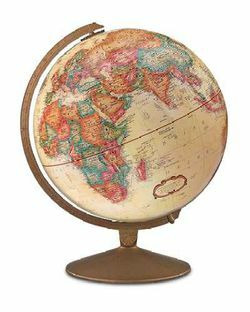 The Franklin comes in an antiqued finish with an antique ocean globe, but contains more than 4,000 up-to-date place names and distinctive political boundary markings.